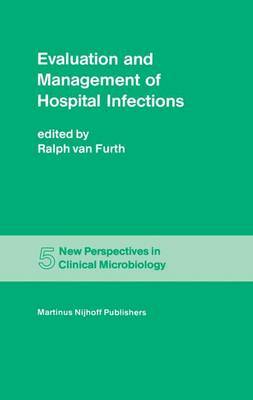 R. VANFURTH Infection is an inseparable part of communal life, and infections are more common and more severe in hospital communi- ties because the sick are more easily infected than the healthy. However, even though progress in the medical sciences has meant that many more patients suftering from relatively severe diseases can be helped at present, the use of more sophisticated and complex treatment leads to impairment of the defence mechanisms in more patients than was the case ten to twenty years ago, and these patients are also more prone to develop an infection. Two questions are particularly relevant in this context. 1) Under what conditions do hospital infections occur? Defects of host defence mechanisms are of great importance in this respect. Such defects can be due to the disease or to the treatment given to the patient. 2) Which of the host defence mechanisms can be affected by a stay in the hospital? Among the factors involved in the host defence against infections (Table I), a number are especially important in this respect. For instance, venepuncture, indwelling catheters, and surgery all cause a breach in the surface structures. Anaesthesia causes temporary impairment of mechanical factors. Vascularization may be defective -- especial- ly in the aged and patients with diabetes mellitus -- and this may complicate the healing of wounds in the skin and mucous membranes after surgery.